Memphis Depay celebrates after scoring a goal against Belarus on Thursday. 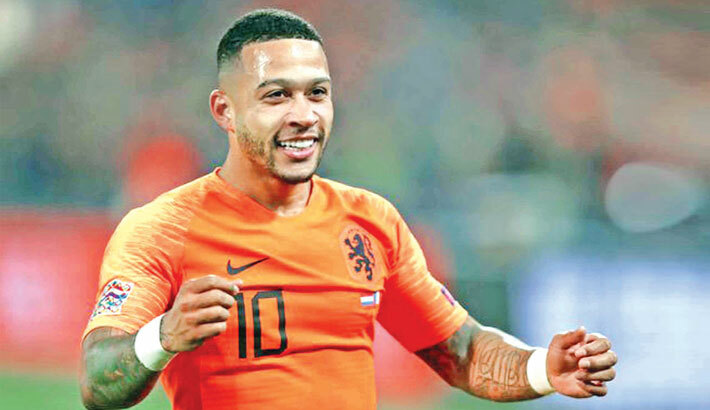 Memphis Depay dazzled for the Netherlands with a brace and two assists as they cruised past Belarus 4-0 in their opening Euro 2020 qualifier on Thursday despite having to play the final 20 minutes with 10 men. “The first goal was good because it was the outside of my foot, but I also enjoyed the flick that set up the second,“ said Depay.